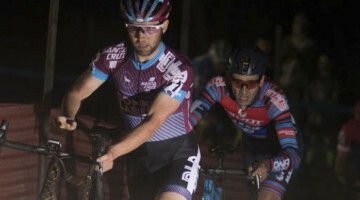 The folks at Raleigh USA are some of the industry’s biggest cyclocross and gravel fans, and the preview of the Raleigh 2017 bikes that we’ve seen at the 2016 Sea Otter Classic has left us more impressed than ever in terms of the diversity of its offerings. The 2017 line presents some brand new models and some refined models. New models include the steel RXM and the category-busting $1999 Stuntman bike, and even an aluminum 24″ wheel RX24 for the little ones. 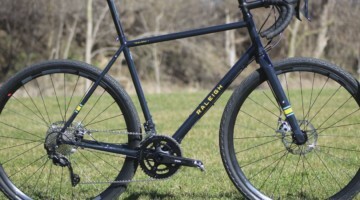 Other models received refinements over Raleigh’s 2016 model year bikes, including the carbon RXC cyclocross race bike. While the Di2-equipped Pro model has been discontinued, the RXC gets a slew of updates. The model switches from a Shimano 105/RS685 component spec to a SRAM Force drivetrain and hydraulic braking system, and moves to a 1x drivetrain. Other changes include a threaded bottom bracket, flat mount hydraulic disc brake mount out back, and a .5cm shorter chainstay (42cm). There’s also two new small sizes in a 48cm and 50cm frame option. MSRP is $3599.99. With input from the riders on the podium winning Raleigh-Clement cyclocross team, we designed the RXC to provide maximum power transfer. Through its carbon frame with front and rear thru axles, and more aggressive geometry designed for the modern cyclocross course, the RXC is race ready and waiting for its call up. 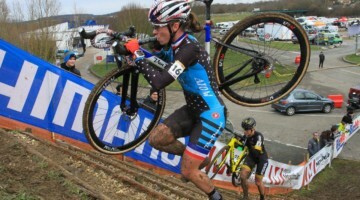 The RXC went through a lot of updates for one model year, and the company is excited to see the Raleigh-Clement team, headlined by France’s Worlds medalist Caroline Mani and Utah-based Jamey Driscoll, prove the merits of the changes in the chase for podiums this year. But Mani, Driscoll and team won’t be the only one handed the new bike for this race season. One lucky Cyclocross Magazine reader will be a lucky winner of a 2017 Raleigh RXC carbon cyclocross bike in the size of his or her choice. Entering takes just 10 seconds, and there’s multiple ways to easily earn more chances to take home this bike. cyclocross RaleighBicycles SeaOtterClassic got one already. Lovely bike mud clearance at the back can be problematic however. 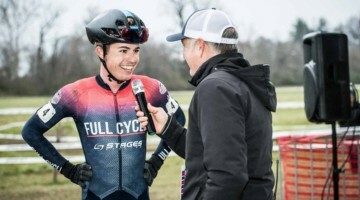 cyclocross RaleighBicycles When is the drawing for the RXC bike? I see registration is closed just wondering who the lucky one is. BillTarded RaleighBicycles Announcement to come!